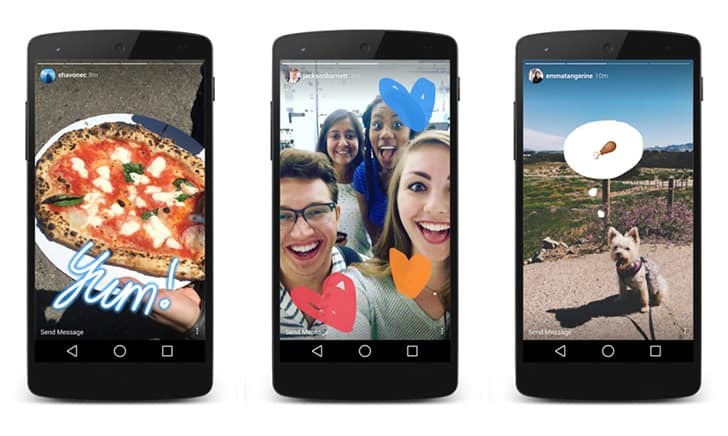 Ever since Snapchat introduced Stories, the popular feature has been adapted by Facebook in its various apps, including Instagram, WhatsApp (known as “Status”) and even Facebook itself. “Stories” lets you share a stream of photos and videos that have a lifespan of 24 hours, and automatically expire beyond that duration. To upload a story, you need to tap on the “You” bubble from the Stories section on top of the screen, and then either snap new photos/videos that you want to include in your story, or pick photos/videos from Camera Roll (iOS) or Photo Library (Android), by swiping up from the bottom. Now, here’s the catch. Instagram only lets you pick photos and videos from Camera Roll/Photo Library that have been shot in the last 24 hours. Anything older than that are discarded by the picker. So, if you want to create an Instagram Story using your older photos and videos, the app will not allow you to do that. In this article, we’ll explore a certain workaround to let you use older photos and videos in your Instagram Stories. The workaround, we’re going to use, basically changes the timestamp of a particular photo or video, so as to trick Instagram into thinking that it was shot within the last 24 hours. Thus, Instagram lets you access the particular file from the media picker on the “New Story” screen. This can be achieved on both Android and iOS. And the process is a bit simpler on Android compared to that on iOS. Here, we’ll demonstrate both. In order to alter the timestamp of a photo or video to the current date, so that they are usable on Instagram Stories, either we need to edit its metadata, or save it again as a new file. Manually, this process might be somewhat inconvenient as it’s not so straightforward. So, we have created readymade workflows that help you to do the same easily. You need to have the Workflow app installed on your iPhone or iPad, which is available for free on the App Store. Next, you’d need to install the two workflows, ReSave Photo and ReSave Video to your device by tapping on the “Get Workflow” button from your iPhone or iPad. The selected workflows will be added to the “My Workflows” section of the app. Once this is done, the below steps will guide you to change the timestamp of photos and videos on iPhone and iPad, and make them available in the media picker for Instagram Stories. Open the Photos app and select the particular photo or video that you want to use in your Instagram Story. Tap on the Share button from the bottom and select “Run Workflow” option from the Action Extensions section of the Share menu. If the option is not available, tap on the More icon and turn on the Run Workflow extension from the list and tap on Done. Choose ReSave Photo or ReSave Video workflow, depending on the type of media you selected in Step 1. The selected workflow will now execute and automatically modify the timestamp to the current date and time. Now, you can open Instagram, go into the New Story screen and pull up the picker from the bottom. The desired photo or video that you just processed should be available to pick. Repeat the same steps for all the photos and videos that you want to add to your Instagram Story, and they will appear in the story picker within Instagram. Note: Both the ReSave workflows mentioned here, create copies of the original photos or videos. Hence, there will be duplicate files created in Camera Roll. If you want, you could delete the newly created duplicates soon after the files have been successfully uploaded to your Instagram Story. You can achieve the same results using any app that allows you to re-save photos or videos with the current timestamp, or lets you modify the timestamp of the files. On Android, file timestamps can be changed to the current date and time simply by a file transfer operation. Thus, you can use an old photo or video on your Instagram Story, just by transferring the file to another random location. Copy or move desired photo or video that you want to add to your Instagram Story, from its original location to any other directory, using a suitable file manager app. After the file operation is completed, the timestamp of the file in the destination directory is automatically changed to the current date and time. Thus, after the photo or video is transferred (copied or moved) from one directory to another, the picker available in Instagram Stories will allow you to select the particular photo or video for your new story. You can repeat the same process for all the photos and videos that you want to add to your story, and the same will be available for you to upload from the new story screen.